It requires complex methods to manufacture precision flat bearings made out of CORTS compound steel, and thanks to over 90 years of in house experience, CORTS offers unparalleled product quality and consistency. Depending on the field of application, our precision flat bearings can be ordered in the following qualities: “CORC-g Standard”, ”CORC-g Stainless”, ”CORC-g Tool Steel”. CORC-g Standard is our most commonly used compound steel that can be mounted in nearly all areas where abrasion of metal plates is expected. CORC-g Stainless should be used in all locations where corrosion adds to the wear, for example in bottom back up areas of a hot strip mill. 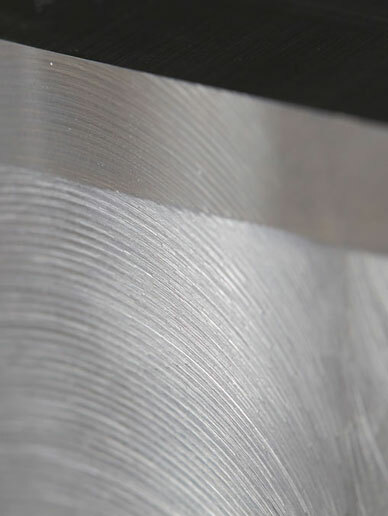 “CORC-g Tool Steel” is the only material that is not compound steel especially designed for areas of application with high loads. This material is perfect for Roll change Rails, load-cell boxes and high strength rails of automation and machine building. Depending on the choice of quality, the surface hardness of the topside ranges from 56 to 62 HRc and makes up 25% of the total thickness. Precision wear parts made of CORC-g compound steel are tailor-made using a complex process. We have over 90 years of production know-how and can offer you a quality level that is unique worldwide.